We are growing a Holy Basil and as its getting huge we are always in search for new recipes. 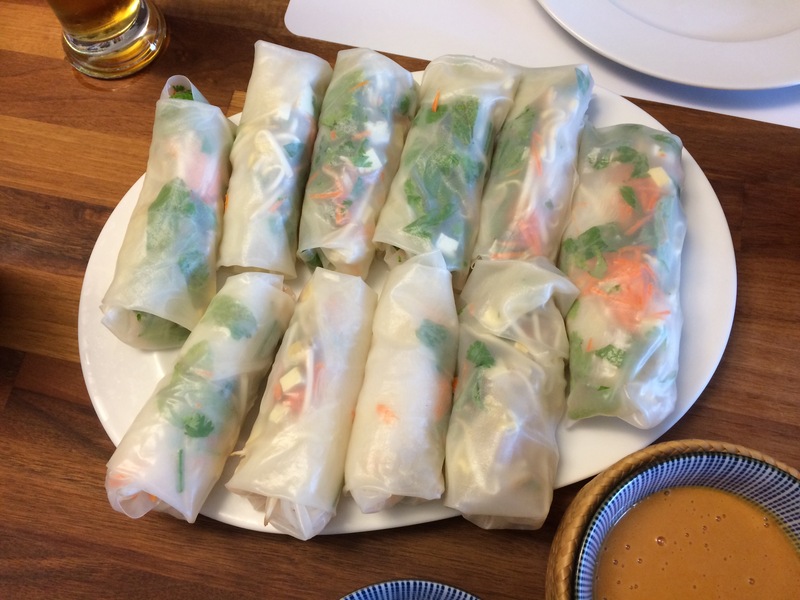 Yesterday I dediced to do some Vietnamese Fresh Rolls. 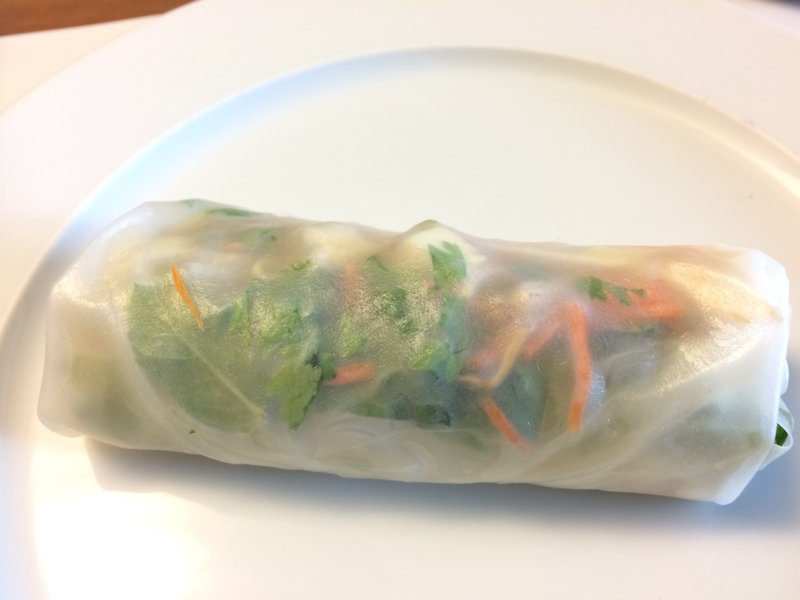 At first you should cook the glass noodles. I had a very nice package in thai which I could not really understand. In my case I put them in boiling water for 5 minutes and they were fine. Rinse them with plenty of cold water and allow to cool down before cutting them in smaller pieces with a scissor. Prepare all your ingredients in near your working station and fill up a bowl with some cold water (bigger than the rice wrapper). Take a chopping board made of plastic as your working station. After a couple I figured out that you have to take it out when still solid (around 10 secs) and put it on your chopping board. On the lower part put some of the noodles (on my first attempt I put way to much). Add all the other ingredients and then flip the left and right side for about 1/4 and start to roll. Once rolled put the on a platter with the last flap on the lower side so that it will close well after a while. Keep doing that until you finished your ingredients and set them in the fridge for at least 15 minutes. In the meanwhile if you want you can prepare a dipping sauce if you do not want to buy it. Put the peanuts first in the mixer until finely chopped and then add all the ingredients before chopping again. I could not find unsalted peanuts, so I had to eliminate the soy sauce and add some water.